Photograph/autograph album presumably from the 1860s era and possibly from Maine. 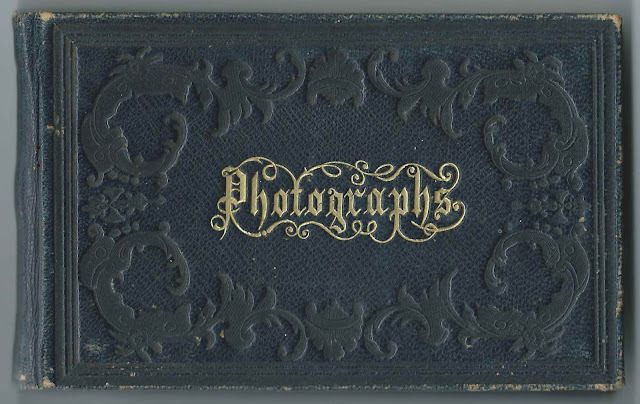 It contains 5 gem-sized photographs, not identified, and five inscriptions. 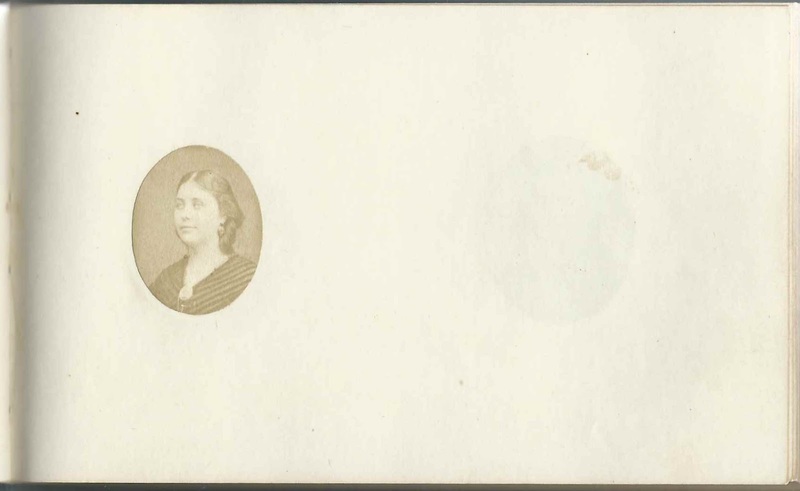 Whether any of the inscribers are shown in the photographs, I don't know. 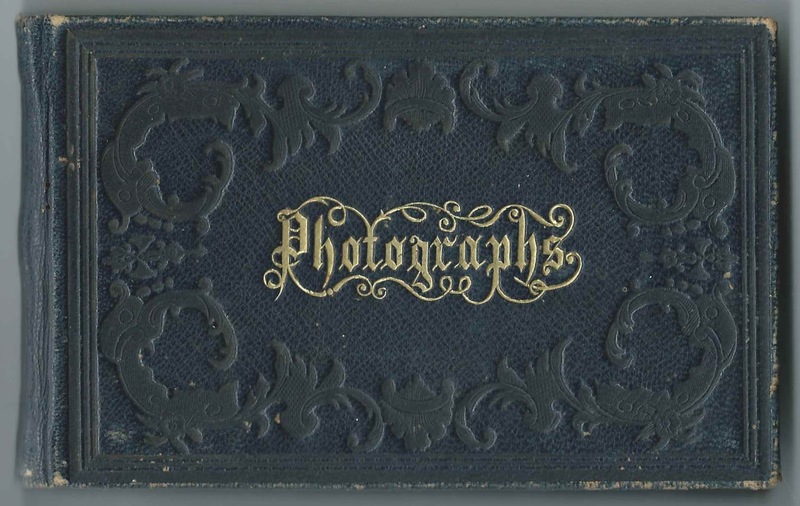 The album measures approximately 5-1/2" by 3-1/2"; many pages were removed at some point, so I can only imagine what insights they would have brought to the table. 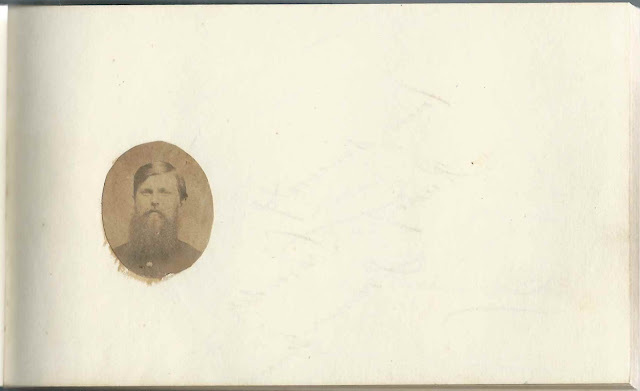 Lindley Franklin Lemont, also known as Frank L. Lemont, whose Civil War letters are included in the Paul W. Bean Civil War Papers at the University of Maine. One source noted that Lemont, a Captain, was "shot with the most bullets". 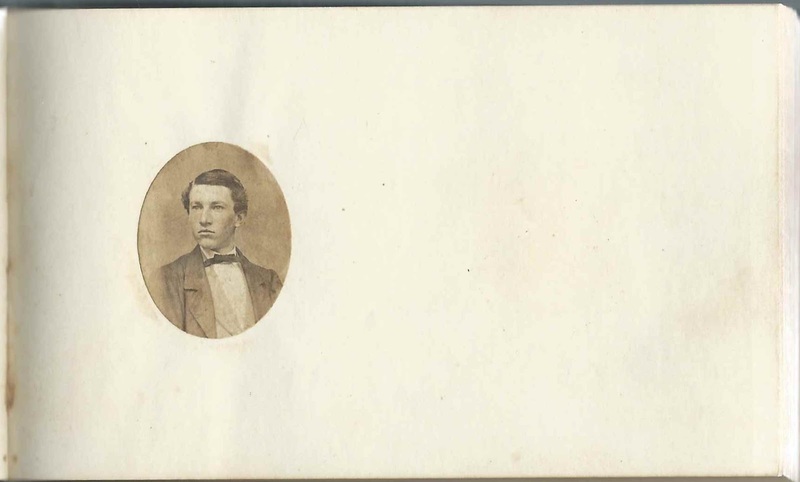 He married Nellie about 1863 and died in 1864. 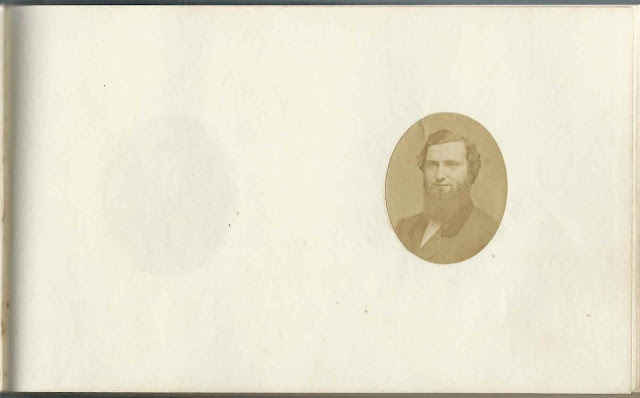 Virgil Horace Sprague of Greene, Maine. According to The History of Androscoggin County Maine, edited by Georgia Drew Merrill published in 1891, Virgil and Nellie married on July 5, 1868. 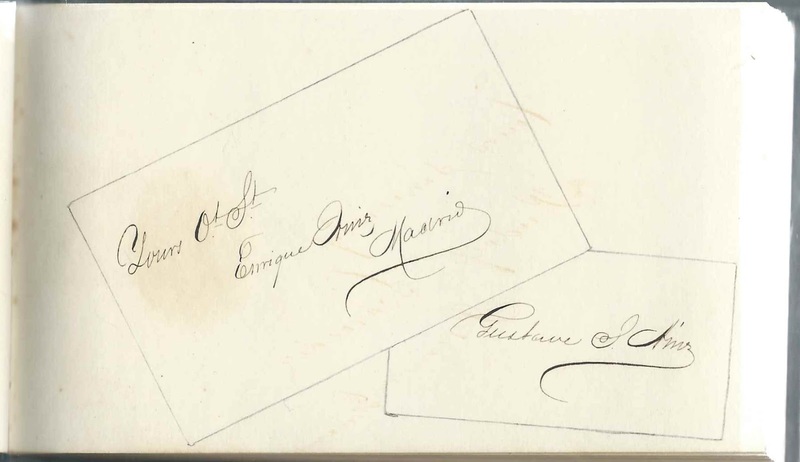 Two of the other other inscribers were from Germany and Spain, and the third also had a foreign sounding name. They may have been mariners. If you can tease out the names, please leave a comment or contact me directly. 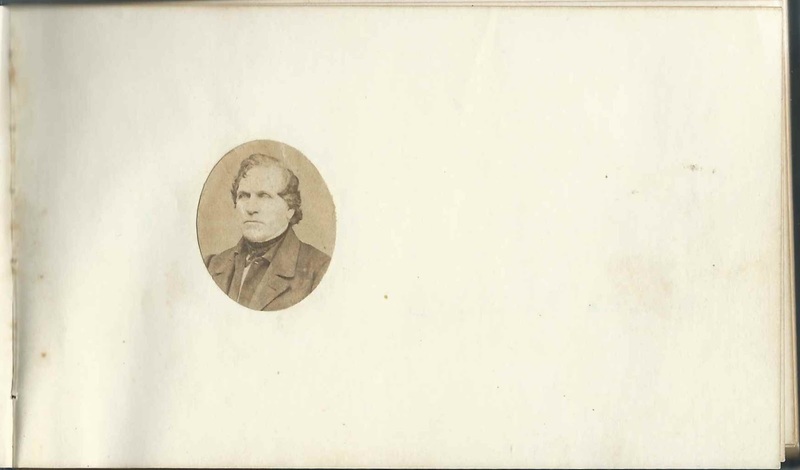 One (or more) page is missing after the page with the photograph above. 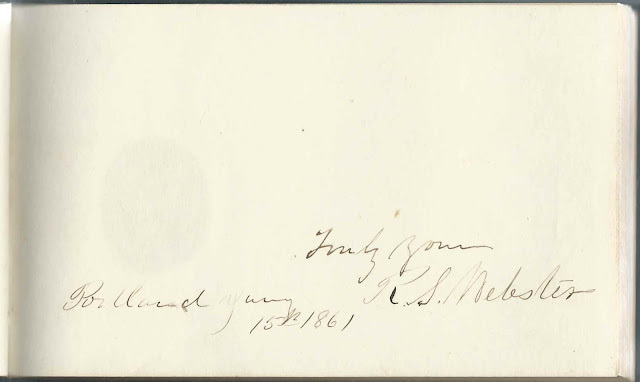 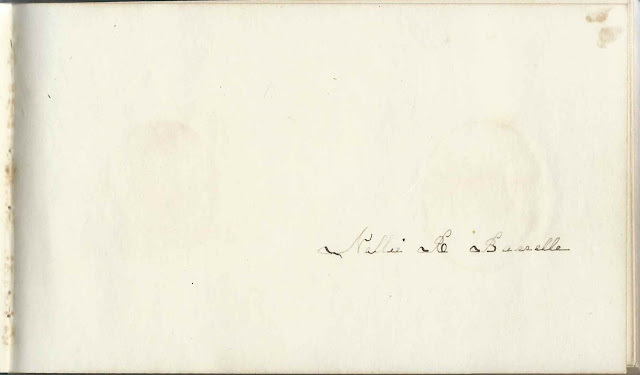 The next three photographs appear on the pages preceding the page inscribed by R. S. Webster. 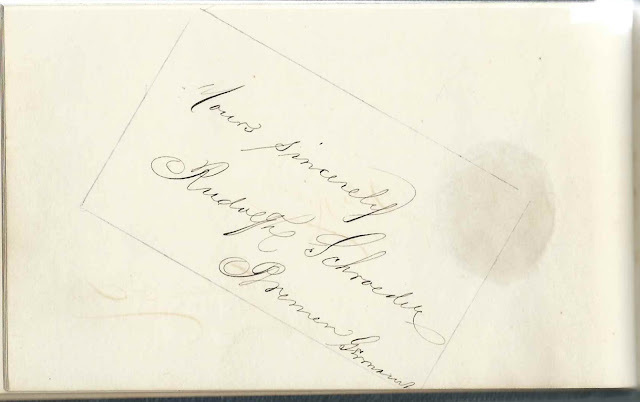 The last photograph appears on the page after that inscribed by R. S. Webster. If you recognize any of these names or the photographs, please leave a comment or contact me directly.